Nobody knows software teams better. Mr Nobody is an AI that manages your software development projects the way you want to, while teaching you new practices used by top tech companies to improve collaboration, team morale and software quality. Work with each other, not next to each other. On the best software teams, everyone has a voice. Mr Nobody guides you through practices that allow true collaboration. Ideas will be flowing from unexpected places. A good leader sets clear and ambitious goals, unifying their team and multiplying their effectiveness. Mr Nobody brings shared understanding to the whole team, empowering them to work toward a common goal. Be lean, but don&apos;t starve. An experienced manager knows which meetings are essential. Mr Nobody uses your own intuition to avoid process bloat, while maintaining discipline with context-aware reminders so you never "forget" again. As you work through your project, Mr Nobody suggests appropriate team rituals used by industry leaders to uncover hidden problems. Learn about Google&apos;s Design Sprints, or Backlog Grooming from Scrum. If you&apos;re interested, Mr Nobody can schedule it and guide you through it. Tell Mr Nobody about a project, and it&apos;ll create an Epic, a chat room and a feature branch. It&apos;ll even schedule a kickoff meeting, if you like. 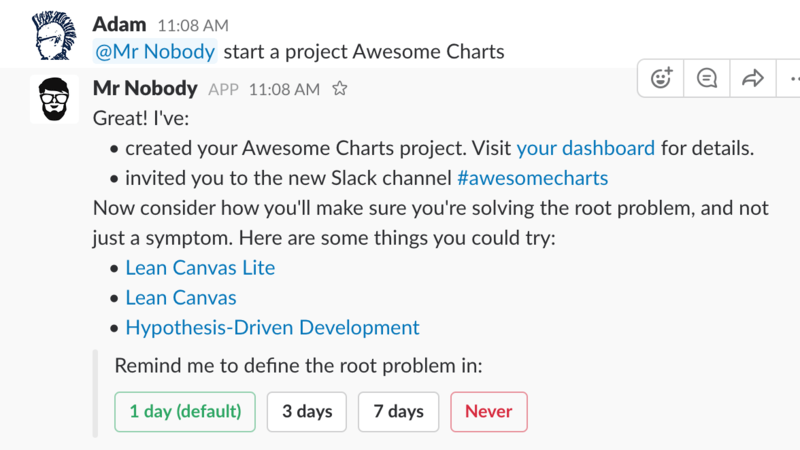 You do the same thing for every project - maybe it&apos;s time to let a bot handle it. Bring the team together, wherever you are. 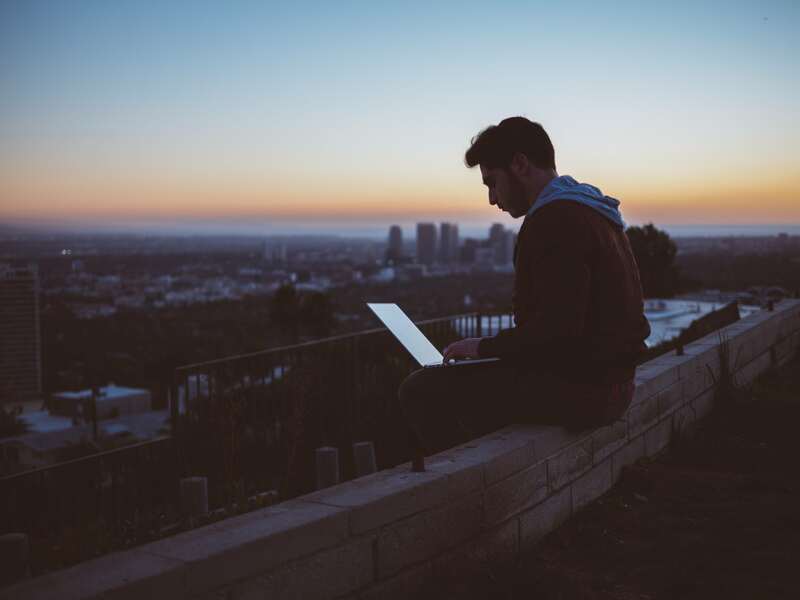 Our workflow tools can be used synchronously or asynchronously from wherever you are in the world, so you can brainstorm with a team member half a world away. On top of our direct calendar integrations, you can connect Mr Nobody to any of 750 other Zapier-enabled apps to trigger new projects, send reminders, or use your Mr Nobody data in novel ways.